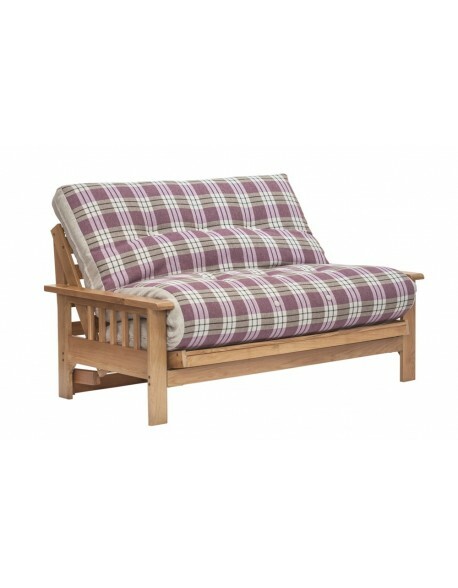 Ticks the box as a comfy futon sofa bed for your spare room, loft or home office, great for occasional visitors or regular use. 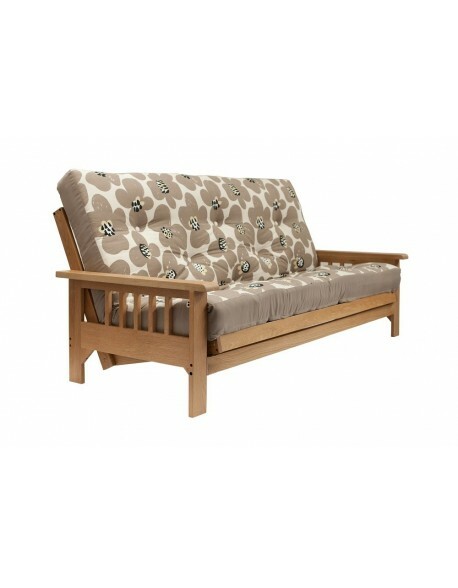 Seats two in comfort and opens into a standard double bed 140 cm / 4ft6ins. 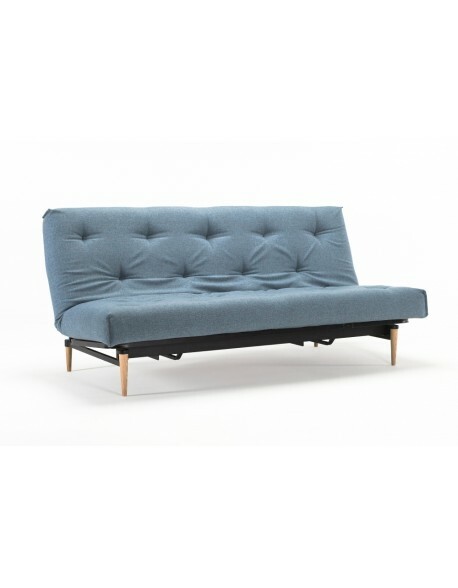 The Roots Futon Sofa Bed is about as traditional as it gets! 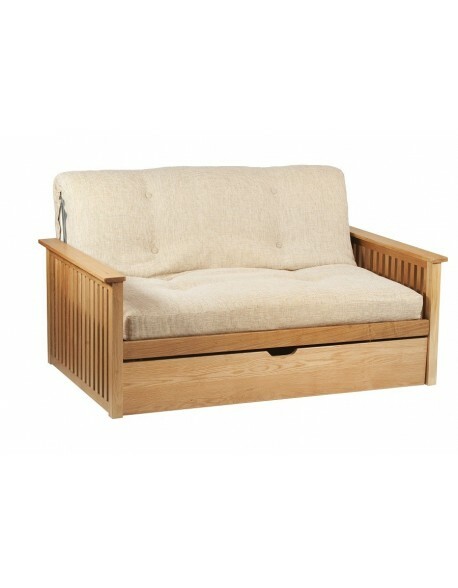 A simple but strong redwood pine base, FSC certified from European sustainable source, which can be used as a futon sofabed in your guest room, bedroom or home office. 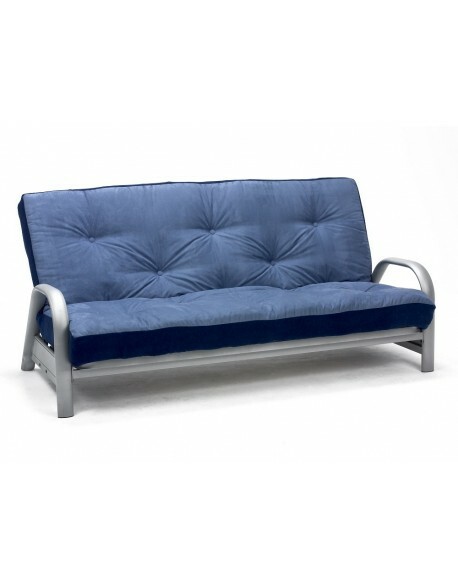 A sturdy design, it incorporates a central support to provide strength and durability. 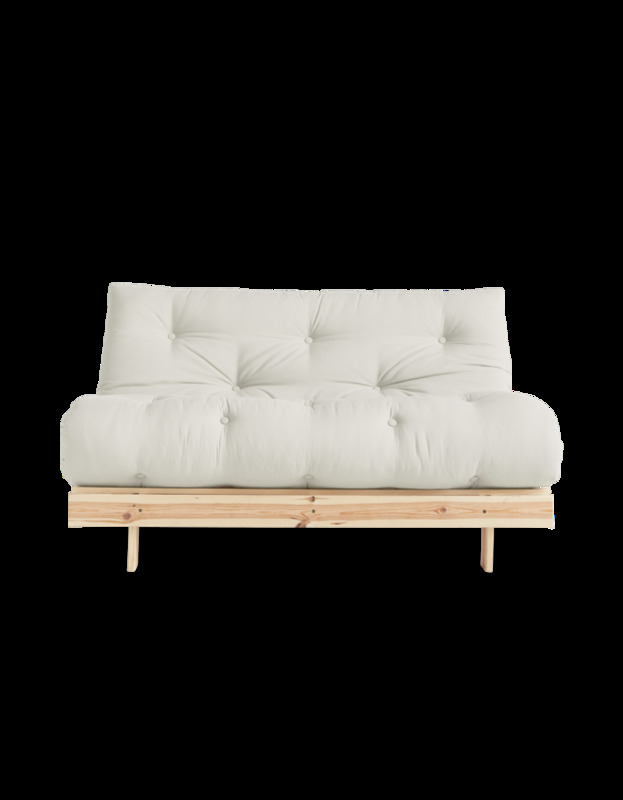 The Roots arrives in a flat-pack form but, typically of Danish design, everything fits together nice and neatly without any fuss. 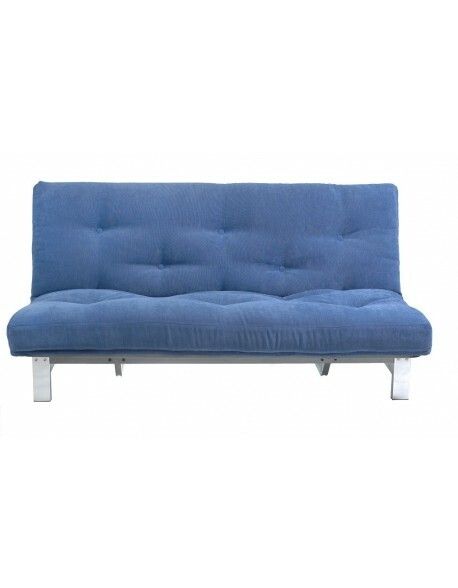 We are combining this base with a 6 layer futon mattress, available in a choice of tough fabrics, just make your choice from the drop down menu, making a comfy sit or sleep for your guests. 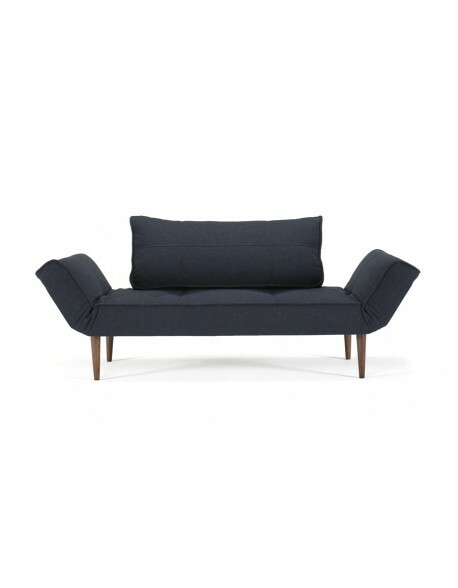 The Roots Double is available from stock for rapid delivery in Natural, Stone or Navy fabrics. All other fabric choices are 3 weeks delivery. See the product Data Sheet for dimensions and specification. 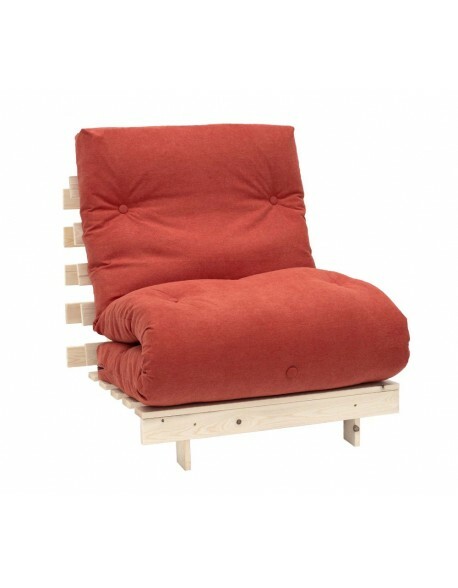 Futon frame materials FSC certified Scandinavian pine from managed forests. 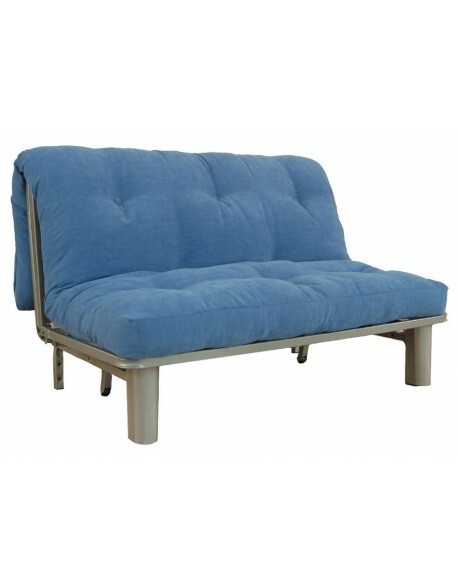 Futon mattress materials 6-layer rebound futon mattress, lambswool, woolfelt and center layer of polyester, around 14 cm thick. Delivered flatpacked? Yes - lots of parts but neat and tidy simple assembly - allow 1 hour. How long for delivery? The Roots is available from stock in Natural, Stone or Navy fabrics - delivery is 4 to 7 days on a pre-arranged day. All other fabrics are 3 weeks delivery. Please call if your requirement is urgent as we may be able to help. Recommended Use Bedroom, guest room, home office, part time sitting and sleeping.